This coastal retreat features an abundance of luxury inclusions such as swimming pool, spa, sauna, tennis court, home gym, and theatre room. For sale by James Paynter and Samantha Moffatt of RT Edgar Portsea. Just moments away from magnificent beaches, this architect-designed residence in Portsea, Victoria, captures panoramic views across the Peninsula, bay and coastline. The approx. 3,337sqm property comes complete with resort-style additions, including a solar-heated swimming pool, spa, sauna, tennis court, home gym and lift access. Luxurious interiors boast high ceilings, Italian limestone and French Oak flooring, with Caesarstone and stainless-steel benchtops. The gourmet kitchen features distressed mirrored splashbacks, a breakfast bar, butler’s pantry and premium appliances. 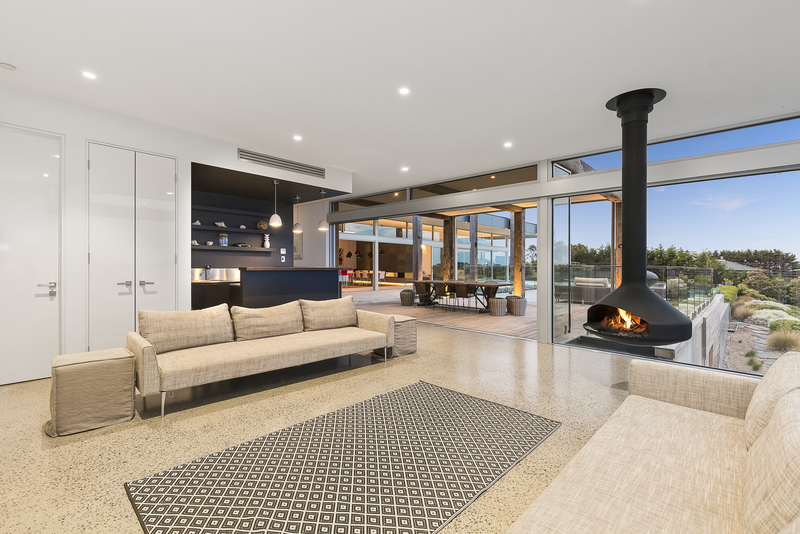 A gas log fireplace forms a centrepiece between the living/dining areas, while a second living zone showcases a cozy, suspended fireplace, integrated bar and polished concrete floors overlooking the entertaining terrace and alfresco deck with recycled timber posts. The home accommodates four bedrooms with ensuites, including the indulgent master suite, as well as two additional bedrooms with built-in bunk beds, serviced by a central bathroom. The property also includes a theatre room, home office, powder room, triple garage, storage room/wine cellar, in-ground trampoline, bore water, and underfloor heating plus C-Bus, Sonos and security system. 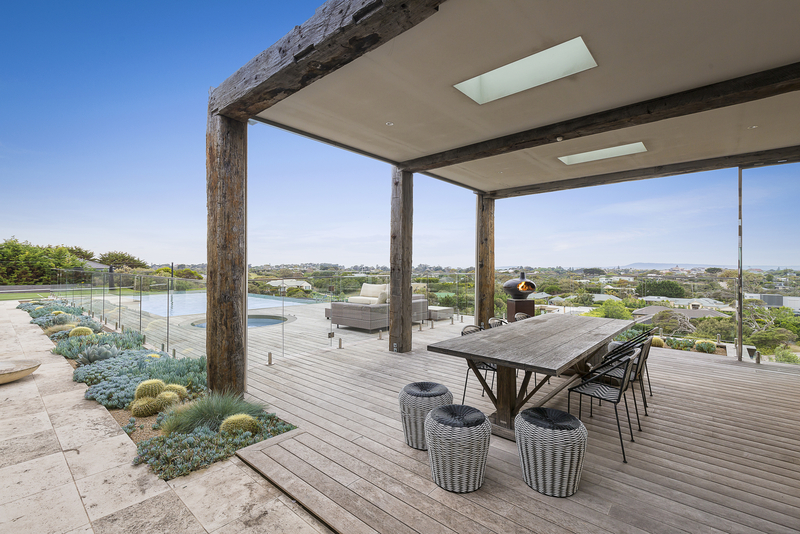 See more of 6 Tea Tree Rise Portsea VIC 3944, including additional photos, floorplan, and location map, on Luxury List. To arrange a private inspection or enquire about a price guide phone or email James Paynter of RT Edgar Portsea or Samantha Moffatt of RT Edgar Portsea via these links.